Premium-PLUS white hand towels for high end Resort, Hotel and Spa, these hand towels are made of 100% cotton extra soft and highly absorbent. Towel Super Center offers a range of towel options for almost any business or home. We have a range of hand towels, for example, to help you save money while you enjoy the highest luxury. If you have a luxury hotel, spa, resort or any business, our premium plus hand towels are great option for you. If you want to enjoy the highest quality towels at home while saving money, our premium plus towels may also be the right choice for you. Our premium plus white hand towels have a heavy weight of 4 pounds per dozen towels. This means they are thick and fluffy and have great absorption. Made in a larger size of 16 x 30, they make it easy to wash and tidy up. The are made of soft, absorbent and quality cotton. They’re easy to launder and feel great on the skin. Your customers are sure to appreciate this small detail in your business. You don't have to go to a boutique spa or hotel to enjoy luxury linens. 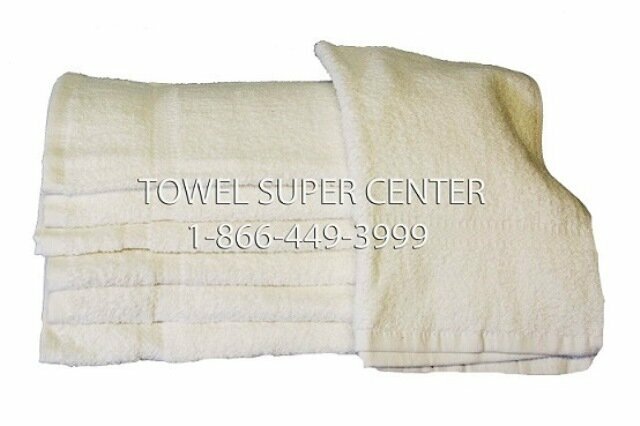 Towel Super Center lets you order our quality premium plus towels a dozen at a time, so you can stock up while saving money and ensuring the highest quality. For everyday use, these towels are great. They are designed for spas and businesses, so they stand up extremely well to repeated washings and bleaching. It's a great way to add a little luxury to your home for less. You can order your high-quality hand towels from Towel Super Center right now and enjoy delivery right to your door. Save money on the highest quality hand towels while enjoying exceptional service. It’s the Towel Super Center way.